A young man at a drug rehabilitation center in Anantapur, India, lies chained to his bed, ostensibly to prevent the spread of HIV. With ankles blackened by gangrene, another afflicted with the virus accepts clean needles from a health worker on the streets of Puerto Rico. A third patient endures a 14-hour ambulance trip from his home in Laredo, Mexico, so he can die at an AIDS hospice in Tijuana. In a darkened auditorium at Ronald Reagan UCLA Medical Center, an audience watched somberly as slide after slide, provided by science writer Jon Cohen, illustrated the human toll of HIV and the varied, sometimes inhumane responses to it — in South Africa, Haiti, Russia, the Ukraine and the United States. But there was also a strong sense of optimism at this event that, with the right investments in health policy, people in rich and poor countries around the world can enjoy long lives and equal access to quality health care by the next generation. That’s the message that approximately 175 attendees packed into Tamkin Auditorium heard on April 15 at a panel discussion held to celebrate the inauguration of the UCLA Center for World Health. Experts in global health came together to discuss the goal of achieving equal lifespans and global access to quality health care by 2035, a concept called "grand convergence," coined by the Lancet Commission on Investing in Health. 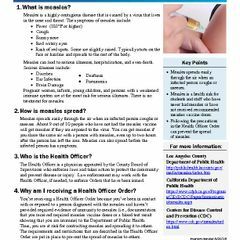 Moderator Thomas J. Coates, director of the new UCLA Center for World Health, invited them to define "what we need to do to take the science and really make a difference." Dean Jamison, co-lead author of the Lancet Report, "Global Health 2035: A World Converging Within a Generation," spoke of investing in the development and delivery of better health tools and services, including universal health coverage. "In another 20 years or so, with the right investments and the right policy, the rest of the world can conquer infant and maternal mortality," said Jamison. "It can conquer AIDS, tuberculosis and malaria. It’s a strong claim with financial and technical feasibility, but it’s not assured politically. Still, the message is hopeful." 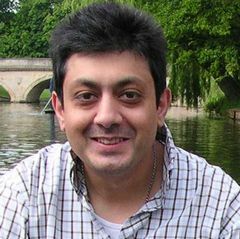 Before countries start expanding health care coverage as an effective strategy to improving health, Victoria Fan, a research fellow at the Center for Global Development, suggested that countries should provide essential, low-cost health coverage for the poorest. Ambassador Eric Goosby, former global AIDS coordinator for President Obama, noted that diplomacy and universities may help point the way. "We know what works, but we’re not delivering it," he said. "There are diseases that we’ve known how to prevent, diagnose and treat for years, but we’ve been unable to put programs on the ground to move the metrics. We have an obligation to make sure something happens as a result of our work." Richard Horton, editor-in-chief of The Lancet, emphasized that more could be done in the treatment of mental illness. "We focus on diseases that cause death, but let’s not forget about that," he said. "We have to put mental health at the center of our global health agenda as well." 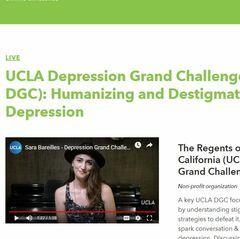 One way the UCLA Center for World Health can contribute to grand convergence, Coates said, is to harness the assets of the UCLA Health System and David Geffen School of Medicine to ensure that scientists and health care providers on the ground are fully prepared. "Other organizations, like the Gates Foundation, focus on technology, and that’s a good thing," said Coates. "Our mission is to focus on the people who are going to make the difference" — the UCLA doctors, residents and fourth-year medical students working under the center’s direction in China, Ghana, India, Peru, Thailand and elsewhere. In Malawi, for example, UCLA affiliates teach community health care providers how to treat women with HIV so that their babies are born disease-free. 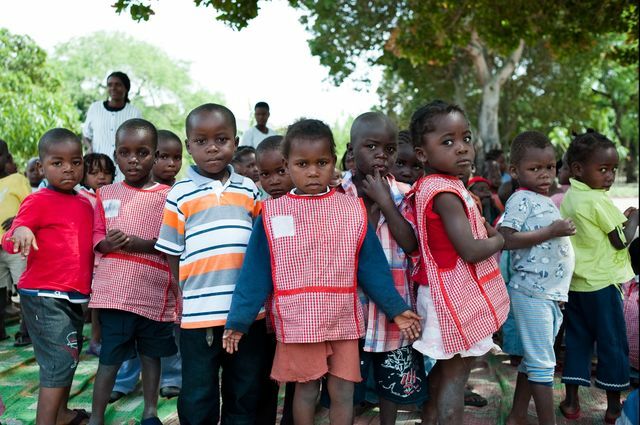 In Mozambique, UCLA pediatric surgeons train other doctors in this specialty. The UCLA Center for World Health is hoping to help build a surgical pediatric wing in a hospital there. 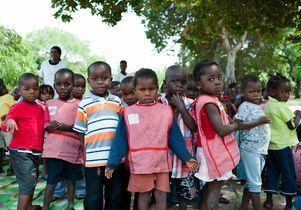 In South Africa, community leaders are learning about HIV prevention so that they can teach others. For example, UCLA pathologists recently partnered with a publicly traded Chinese company to improve clinical diagnostics for Chinese patients. UCLA also invites medical students, faculty and health scientists from institutions worldwide to campus so they can update their skills. According to Coates, grand convergence will happen when talented people around the globe combine their efforts to make the world a healthier place. "We send our students to various countries not only to help them learn better medicine, but to help them become kinder people," Coates said. "We believe everybody everywhere should be treated with respect and dignity. That’s part of our mission, too." 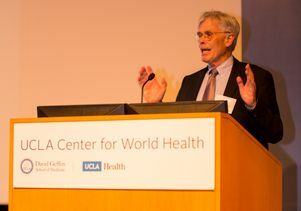 Thomas Coates, director of the UCLA Center for World Health, addresses conference attendees.